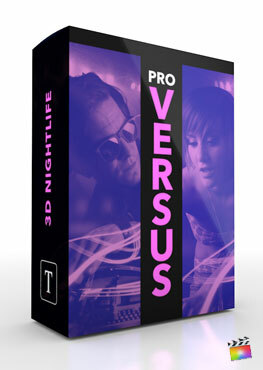 ProVersus 3D 80s is a set of 9 customizable 80s retro inspired presets made exclusively for Final Cut Pro X. Utilize ProVersus as a comparison tool, to contrast people, settings, and showcase statistics. 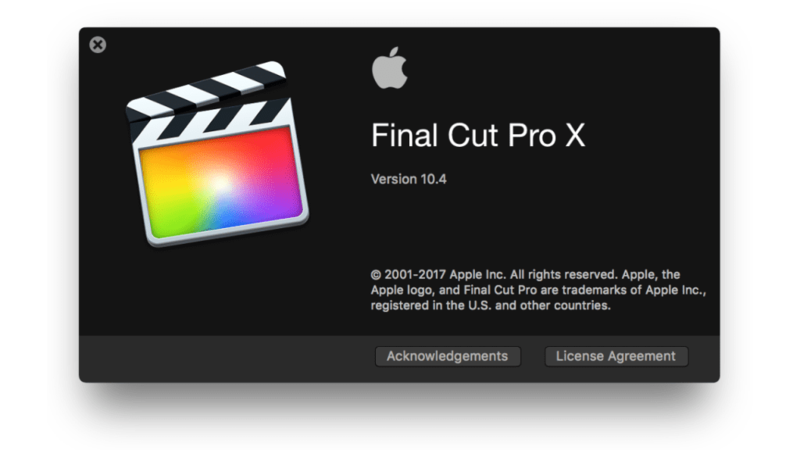 Each 10 second preset features a complete range of text, color, and animation controls that can be found in Final Cut Pros inspector menu. Utilize drop zones for pictures and videos. 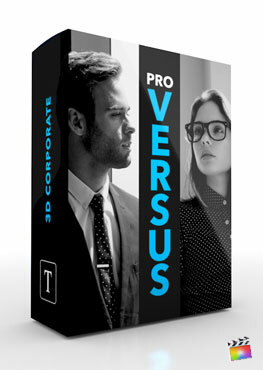 Instantly add a 3D comparison title to any Final Cut Pro X production with ProVersus 3D 80s. ProVersus 3D 80s features 9 fully customizable comparison panels made exclusively for Final Cut Pro X. Pick and choose from presets with particles, to titles with radical and retro styles. 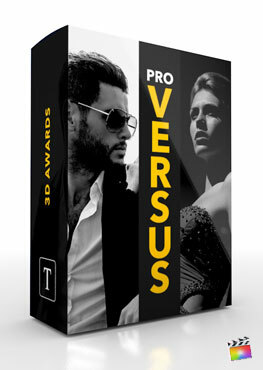 Utilize versus presets to contrast media, list attributes, or anything you can think of. Select the “⚙ Edit Mode” checkbox to activate animation guides and to begin editing the text. Use the “� Start” and “� Mid” transform controls to determine where the panels animates from, and where it will animate to. Use the depth guide checkbox to toggle the panel depth. 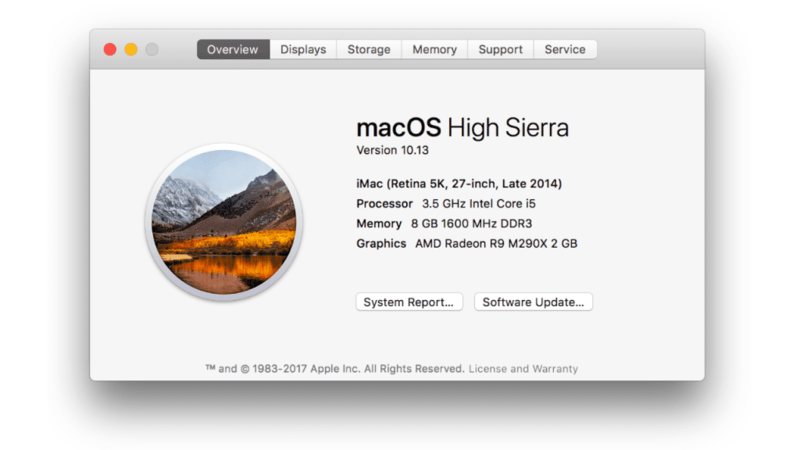 With render shadows toggled off, users can enjoy faster editing speeds. 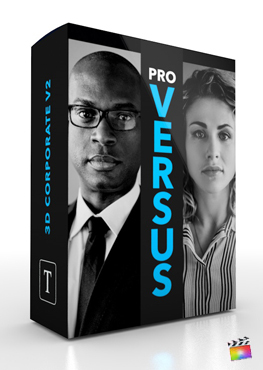 ProVersus 3D 80s presets can easily be customized using a combination of text boxes, sliders, dials, and transform controls. ProVersus presets feature customizable panels with transformable drop zones. With slider controls, users can change the scale, slant, and position of drop zones with ease. Each layer includes its own hue, value, and saturation controls for color manipulation.